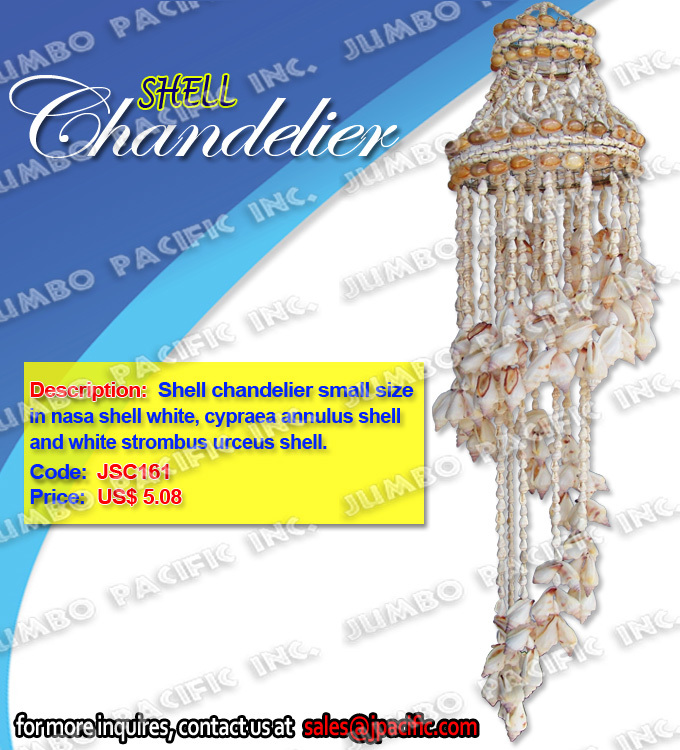 Description:Shell Chandelier small size in nasa shell, cypraea annulus shell and white strombus urceus shell. 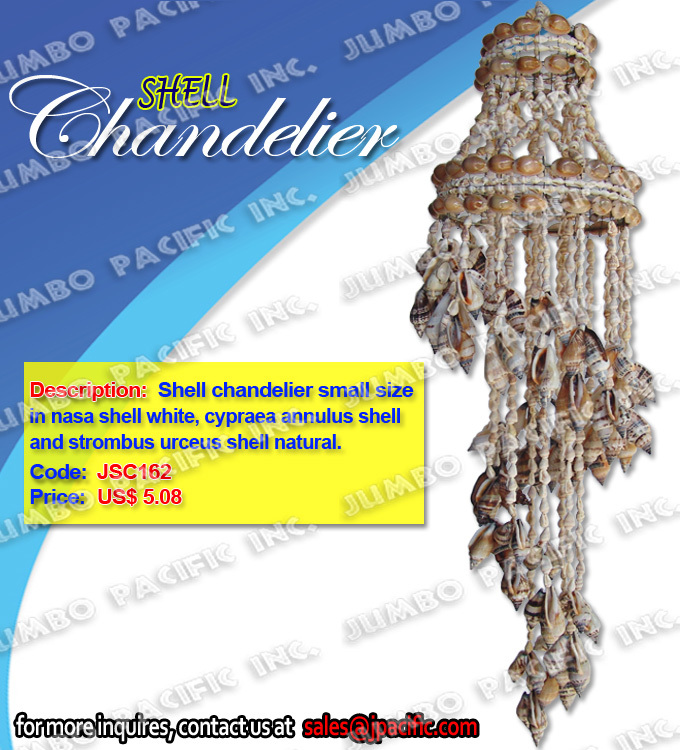 Description:Shell Chandelier small size in nasa shell white, cypraea annulus shell and strombus urceus shell natural. 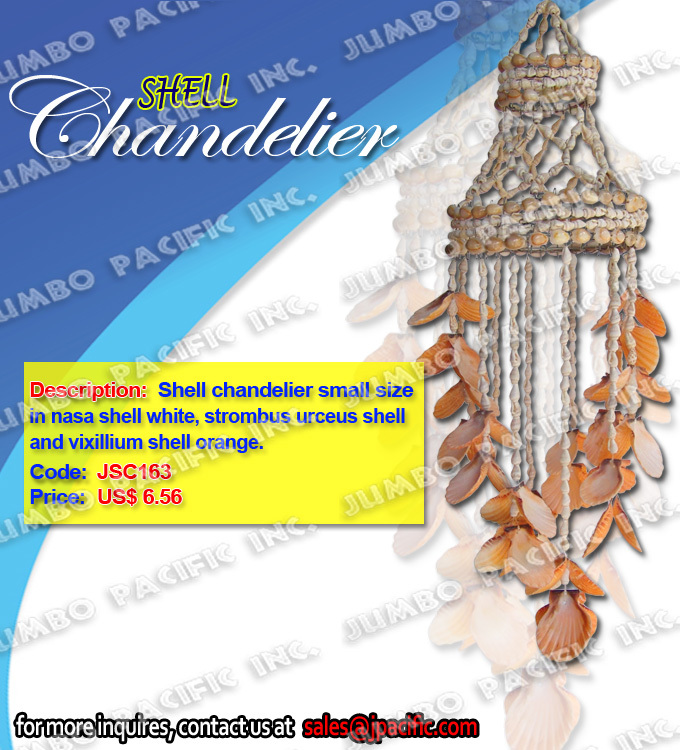 Description:Shell Chandelier small size in nasa shell white, strombus urceus shell and vixillium shell orange. 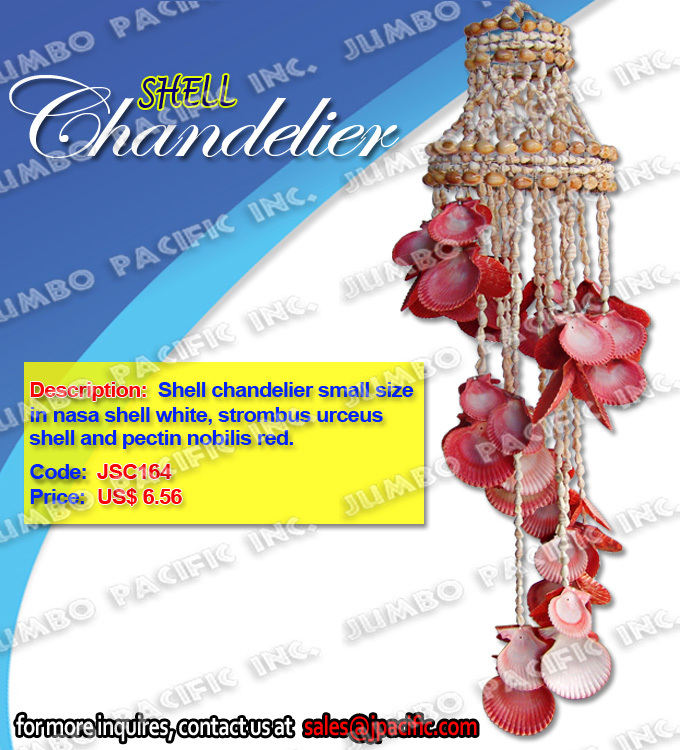 Description:Shell Chandelier small size in nasa shell white, strombus urceus shell and pectin nobilis red. 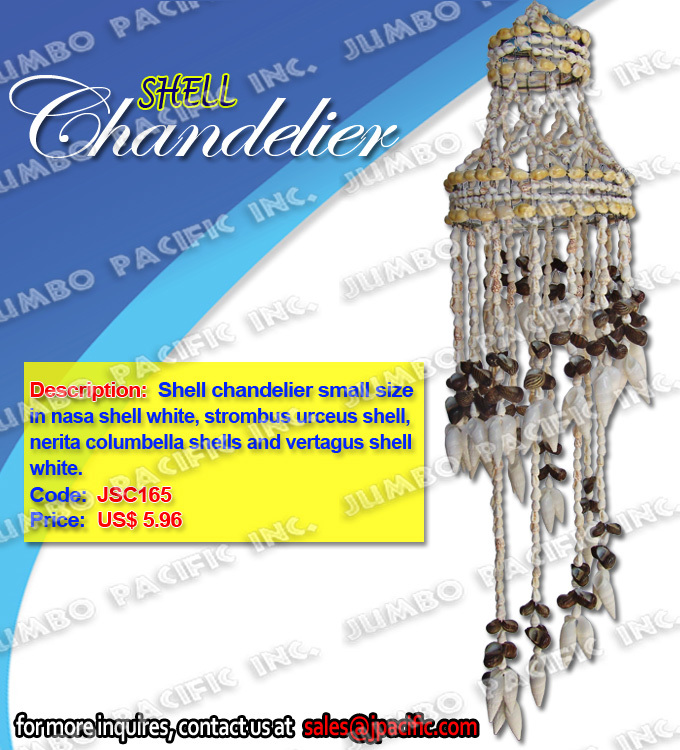 Description:Shell Chandelier small size in nasa shell white, strombus urceus shell, nerita columbella shells and vertagus shell white. 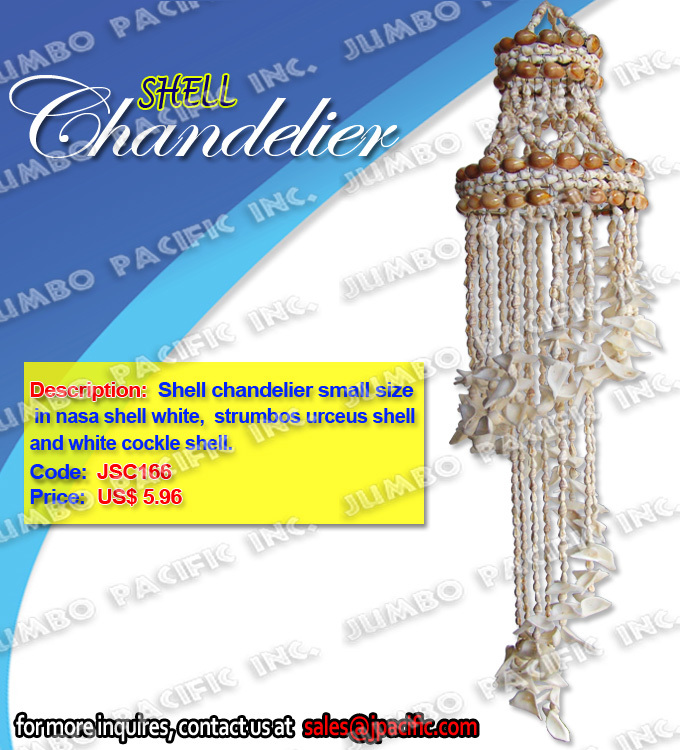 Description:Shell Chandelier small size in nasa shell white cockle shell. 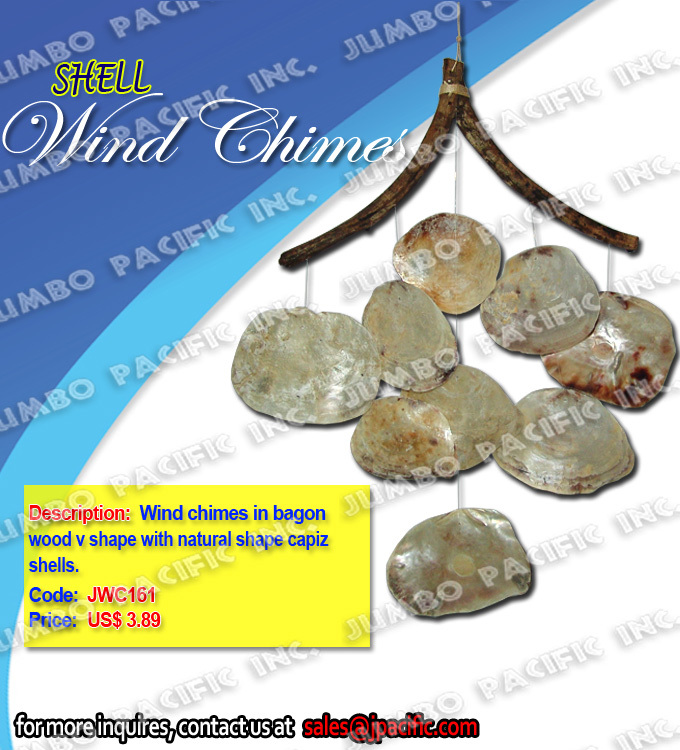 Description:Wind chimes in bagon wood V shape with natural shape capiz shells. 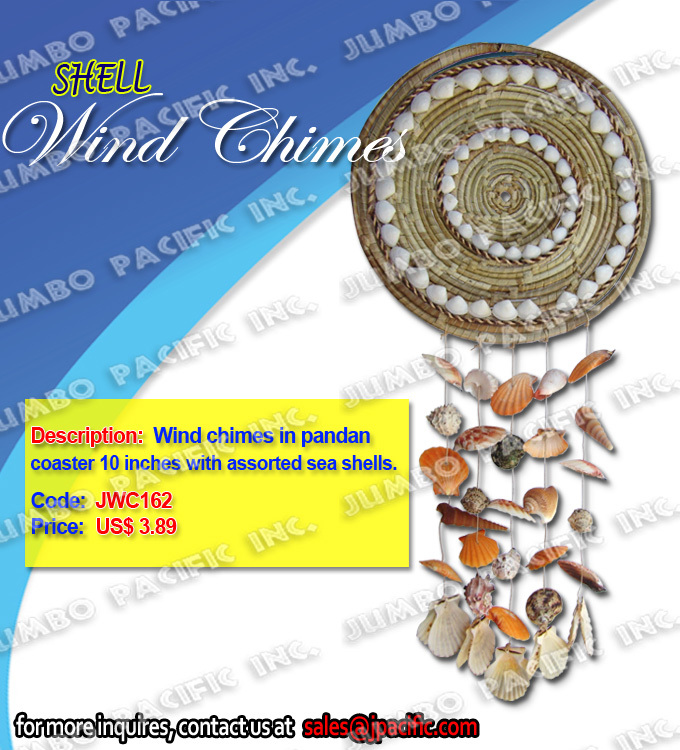 Description:Wind Chimes in pandan coaster 10 inches with assorted sea shells.